For better account security, Google introduced two-factor authentication to help protect your google account from hackers. In other words, if you want eliminate or scare away hackers, you must add two-factor authentication. Once you do that, every other google services connected to your Google account is highly protected. With this protection, anyone trying to break into your account would need both your password and the mobile phone that your authentication codes are sent to in order to gain access. However, at times, the Google Authenticator codes displays "incorrect codes" which can be a sad experience but hey, there is always a way out. In this post, you will see how to fix the Google Two-Factor Authenticator issues that usually appears as incorrect codes. WHAT ARE THE CAUSES OF INCORRECT CODES? 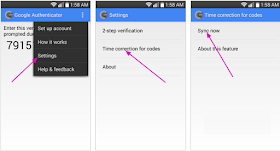 The basic cause of "Incorrect Code" errors is that the time on your Google Authenticator app is not synced correctly. 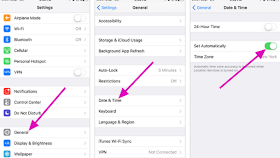 So below is a guideline in how to ensure the time is synchronized correctly on both Android and iOS platforms. A new screen will open and the app will confirm that the time has been synced and you are now able to use verification codes to sign in. That's it. 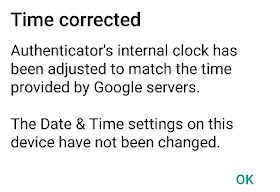 That's how you can easily solve or fix authentication error on your google account.